In other words, PanARMENIAN.Net is designed to be appealing to the reader/news consumer, outside of Armenia. And indeed, there is very little information about internal politics on the news resource, and abundant coverage of Armenia’s foreign policy and the Diaspora. PanARMENIAN.Net, Map Overlay, Jan 1, 2007 – Nov 30, 2007, Screenshot from Google Analytics report. PanARMENIAN.Net, GeoMap Report, Jan 1, 2007 – Nov 30, 2007, Extracted from Google Analytics report. Speaking of the web statistics and analytics, it is important to understand, that there are various concepts involved, and many of them are hard to define clearly. However, I consider pageviews (make sure to follow that link!) one of the most important indicators. Hence, the average number of daily pageviews for PanARMENIAN.Net for the duration Jan 1, 2007 – Nov 30, 2007, which includes the August holiday season of the web resource is equal to 12,751. However, if we remove the holiday season, we will get a more accurate daily figure: 13,524. To further finetune the results, we would have to also remove the weekends – as web attendance significantly reduces on Saturdays and Sundays, hence, the daily average of pageviews would grow even further. However, for the purposes of this short study, I will spare the effort and settle on the figures stated above. The following table represents the peak days of PanARMENIAN.Net. PanARMENIAN.Net, Peak Days, Pageviews for all visitors, Jan 1, 2007 – Nov 30, 2007, Extracted from Google Analytics report. Another important indicator, which is however much more controversial, is the number of visits. Here PanARMENIAN.Net scores an average of 3,480 visits daily in the period of Jan 1, 2007 – Nov 30, 2007, and a more accurate figure of 3,653 without the holiday season. Again, the weekends, which would leave a substantially reduce the daily average figures, are not considered. PanARMENIAN.Net, Peak Days, Visits for all visitors, Jan 1, 2007 – Nov 30, 2007, Extracted from Google Analytics report. PanARMENIAN.Net, Visits and Pageviews for all visitors, Jan 1, 2007 – Nov 30, 2007, Extracted from Google Analytics report. Is the online media in Armenia influential enough to make a difference during the upcoming election campaign. Is the content published in the online media substantially different from the content of the print or broadcast media in any way, and if so, will the differences be substantial enough to make them a viable competitor to the traditional media. Hence, looking at PanARMENIAN.Net from the perspective of the first question: is the online resource under question influential enough in Armenia to make a difference during the upcoming election campaign, my response will be – No. However, it is important to also consider, that the PanARMENIAN.Net doesn’t have such an objective: influencing anything in the internal politics, and it is not even trying. 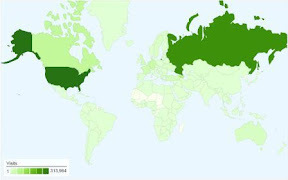 At any rate, let’s apply this simple calculation: we have an average of 13,524 pageviews daily, of which, Armenians from Armenia are only constituting the 8.55 %. Hence, we can say, that only 1,156 daily pageviews on average are generated from Armenia. Even on the peak days, such as October 11 (U.S. House Foreign Affairs Committee passes Armenian Genocide Resolution), PanARMENIAN.Net only has an estimated 2,609 pageviews from Armenia. For comparison, on the same day Aravot Daily had a print run of 4100 copies, and Haykakan Zhamanak had a print run of 5770 copies. Coming to my second question: in case of PanARMENIAN.Net we can state without much doubt, that the content on the online news resource is generally distinctly different from traditional media, which has earned it a very specific userbase, and in many regards its specific priorities and objectives give me grounds to state, that it is not competing with the traditional print media in any way. PS2: Next news resource on my schedule is – A1plus, make sure to check back soon, and please make suggestions on how to improve these articles. I want to say, that I’m open to answer questions on PanNARMENIAN.Net stats. Thank you so much, Ditord! Thanks also to Uzogh and the rest of the managers in online resources that dared to provide you with details of their stats, including pieces of some closed info. As a potential advertiser in online resources, we are very much interested in an objective comparison of the most popular online Armenian resources. I always thought that Pan Armenian.net belongs to Dashnaktsutyun. Very interesting material. Azerbaijan appears in the 4th place, right after Armenia itself. Do you have any information about the most viewed Azerbaijani web-page by Armenia? It’d be interesting to know:) Thanx in advance. BTW: What did Google Analytics report for absolute unique visitors? This is also a key factor to assess any site. Usually, the number is far lower than the number of visits given that one visitor will usually access a site multiple times in a day, week, month and year. This is one reason why daily updated news sites such as A1 Plus and PanArmenian.Net are always going to be significantly more popular than a weekly or monthly online publication where the information doesn’t change as regularly so visitors don’t keep on coming back to see if it has. Not that I doubt the success of PanArmenian.Net and A1 Plus. Just that more analysis is needed, in my opinion. Still, it’s far more accurate than some publications which have inflated their readership to mislead potential sponsors and so I welcome the transparency here. In fact, I think this approach should be extended to all online publications. However, I suspect that many would be surprised. For example, Hetq Online says its readership is 100,000 a month. However, this is not true, and I’m sure they’re confusing hits or page views with actual readers (some of whom would be counted multiple times each time the site is updated). Until they took their circle.am counter off, for example, daily readership was something like 500 a day. To be precise, for the month I looked at, it was a fraction of the 100,000 a month and actually 16,343. Again, and as with all sites unless you take into account absolute unique visitors, many of that 16,343 would be returning visitors so actual readership would be lower. Indeed, publications which update daily, weekly or monthly should be assessed based on that frequency of updates. In the case of PanArmenian.Net that means daily, and in the case of Hetq Online and Armenia Now that means weekly. For you and I that probably means daily as well. BTW: I’d like to see donors demand that Google Analytics be used for assessing the success of all online projects from now on. Moreover, I’d personally like to see those statistics being made publicly available in the interest of transparency and so on. Therefore, a big thumbs up to PanArmenian.Net, and also ArmeniaNow who displayed their Google Analytics stats at a recent civil society conference in Yerevan, and black marks for those hiding their and misleading donors.